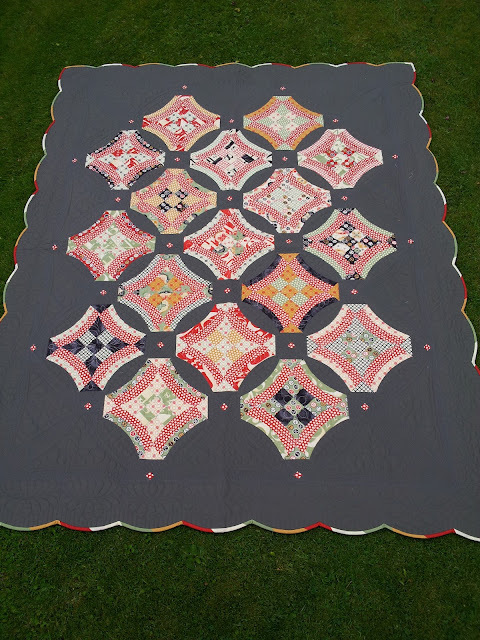 This is a really short post just to show you my 2 quilts for our local show that I finally finished. 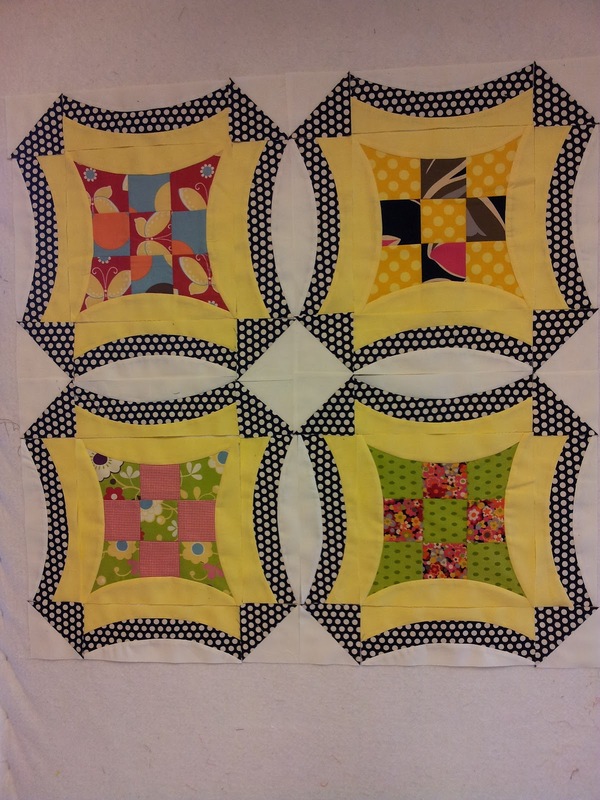 All I have to do now is sew a hanging sleeve on the back and they are ready to be dropped off at the showground. 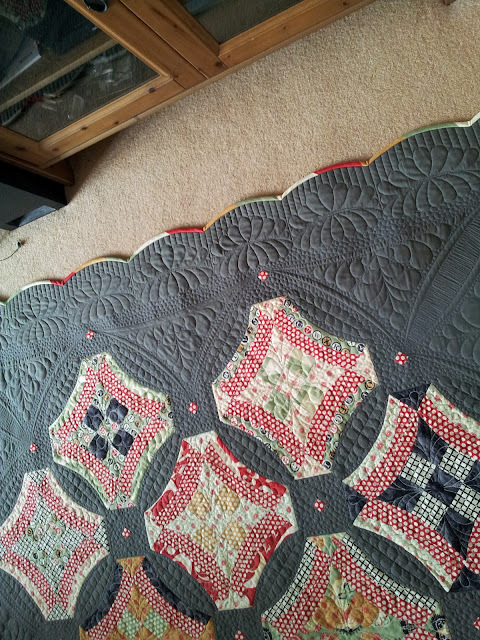 I was really happy with the curved binding on this one. 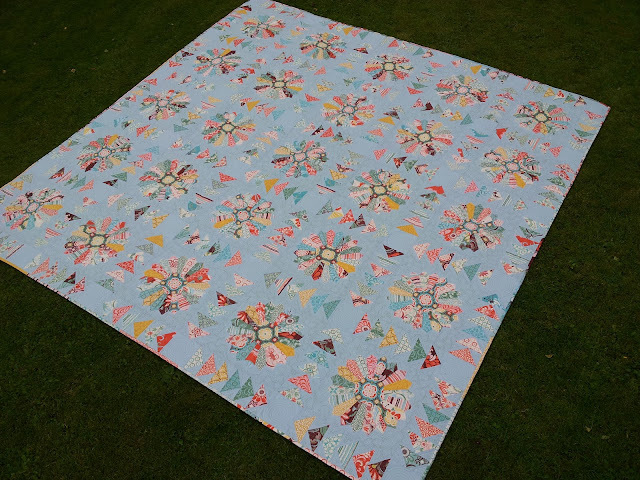 I managed to curve around each feather in the border and I made a multicoloured binding using the plain fabrics in the Circa 1934 fat quarter bundle that I had. I don't want to be doing any pebble background fill for a while but I do like how it makes the feathers stand out. I made a scrappy binding for this using offcuts of the Fandango fabric that I had. Again. I apologise for the quality of the photos! The colours all seem rather washed out. Must do better! 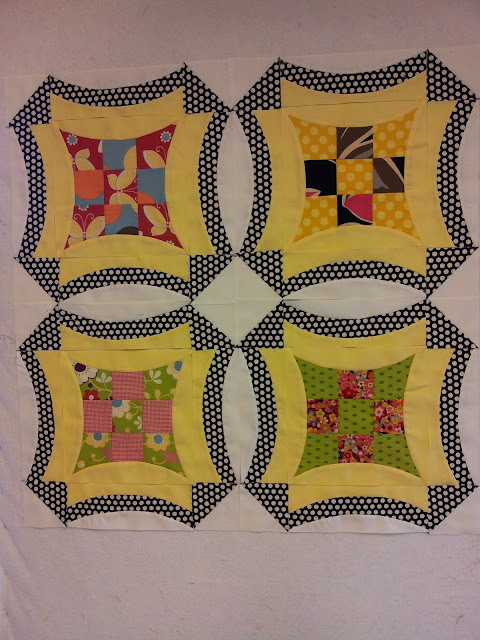 I have really fallen in love with the urban 9 patch block and have started another one! 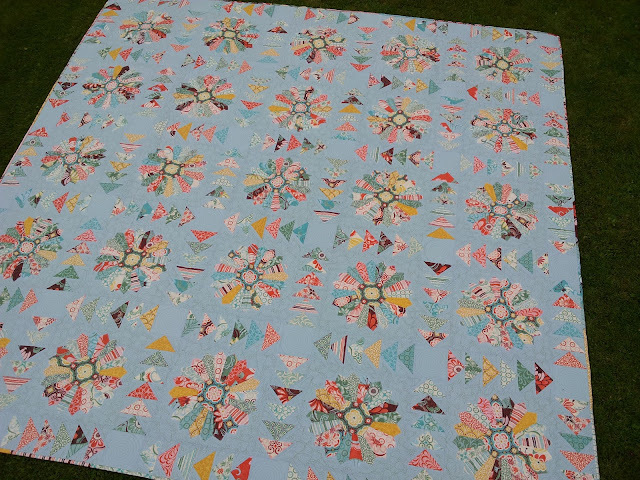 I've only made 4 blocks so far, but I have 36 cut out waiting to be sewn together. What do you think? This was my 'try out' block. 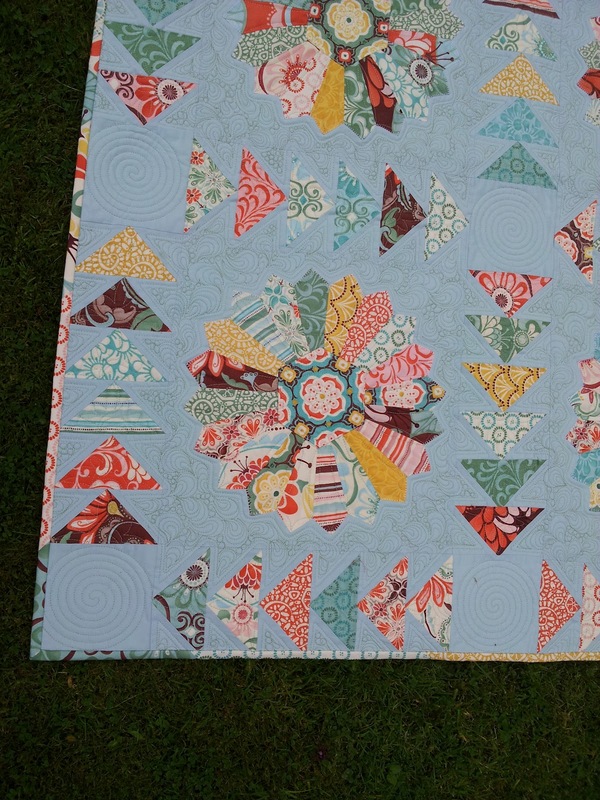 Before getting stuck in with the rotary cutter when making a new quilt that I am not sure how easy it will be to piece, I make a practice block using scraps. This one will be made into a cushion one fine day. I've had a really busy week and quilted 6 quilts so far but they were all brought in before I had my blog so didn't ask if I could photograph and blog about them. I have taken photos of some and when they are collected, I will ask their owners. If they say yes, I will post some pictures of them. 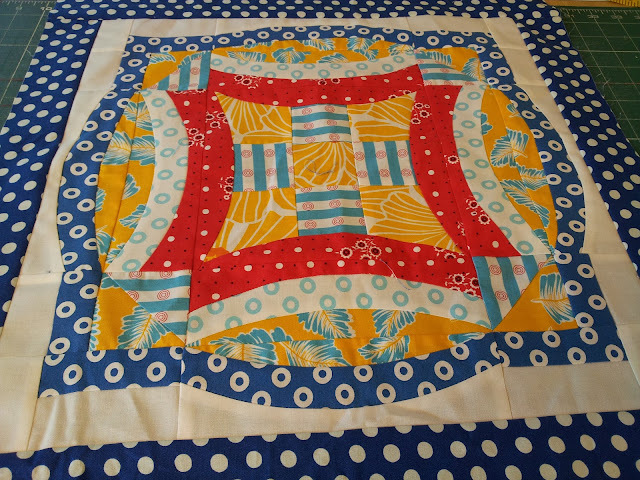 Hope you are all managing to get some quality quilting time in. 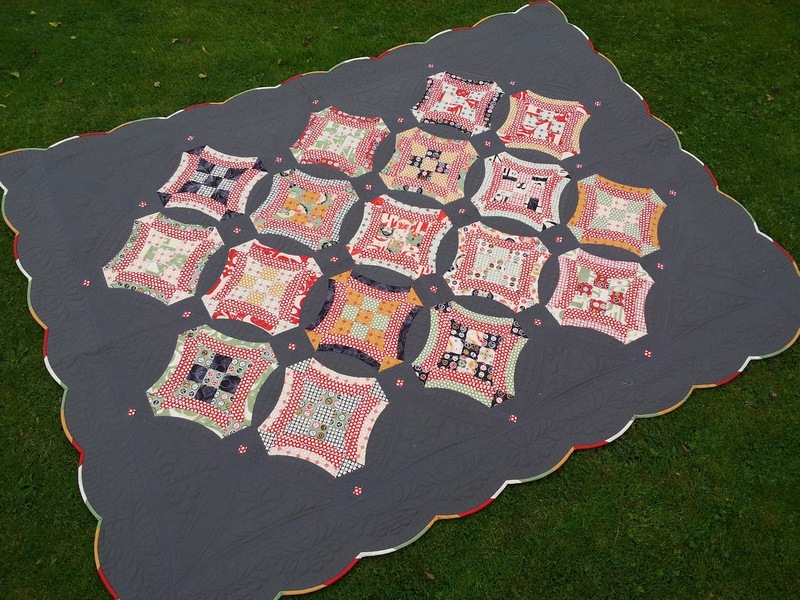 Wow what amazing quilts and amazing blocks - I need to go and sew right now! Awesome! Didn't get a proper look yesterday, but I shall admire them in the show!! !